When traveling, not many things create such good memories like road trips or being on the road. Part of travel is to move from destination to destination and to visit attractions along the way. 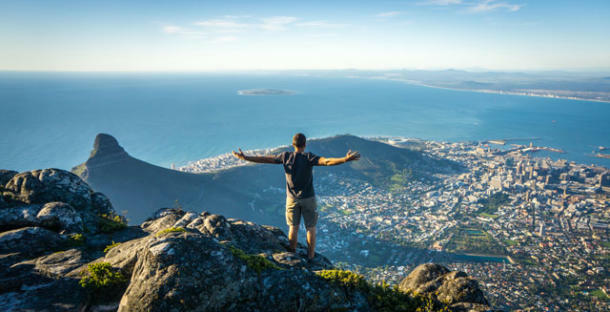 Here follows a few options, whether you live in Cape Town and want to do an epic road trip, or visiting Cape Town for the holiday of a lifetime. Start on Victoria Road past Camps Bay and drive over the famous Chapman’s Peak drive (toll road, so take a card or some cash). Once in Noordhoek you can opt to go and ride horses on the beach or continue with your trip towards Fish Hoek & Simon’s Town. Boulder’s Beach is near Simon’s Town, but it’s perhaps a better stop after doing Cape Point when you’re on your way back. You can also opt to turn towards Kommetjie (after Noordhoek) and drive the long way around towards Cape Point Nature Reserve and then come back Simon’s Town (Boulder’s Beach) way. Simon’s Town, or even Kalk Bay is a nice stop for a late lunch. You can then head back via the M3 (after passing through Muizenberg to take the obligatory colourful beach hut shots). Yzerfontein is a hidden jewel of a small coastal town that’s about an hour’s drive from central Cape Town. There are small restaurants close to the beach where you can grab a light breakfast. Once you’re done with breakfast (remember to keep it light! ), you can go for a leisurely stroll on the beach. If you go past the rocks at the end of the main beach, you can keep going for quite a while. You can also take a drive to the ‘wild side’ where there are some amazing surf spots that gets quite big. The Southern beach is lovely on windless days to go tanning, just sit and watch the surfers in the water or to take another beach walk. Once you head back towards the R27 (West Coast Road), make sure to stop at the Farm Stall on the right just before you get to the highway again! They always have fresh bread and some home-made delicacies on offer. Now you can head straight over the R27 towards Darling and make your way to Darling Breweries. Here you can ask for a beer tasting and sample the local craft beer on offer. They have great food as well, so plan on spending some time here. If you feel up for it, we can recommend visiting Groote Post Vineyards on your way home and taste some of their wines. They have an award winning Pinot Noir Rose that we can highly recommend and their other wines are also top class. Remember to choose a dedicated driver that doesn’t drink, or book a day-tour shuttle! The Cape Winelands is vast and it takes locals years to even visit half of the estates on offer. There are an estimated 800 wine farms to visit! Our recommendation would be to aim for specific areas as you probably can’t cover more than 4 estates in one day trip (even that is pushing it). Rhebokskloof – some of our favourite wines! Spice Route Restaurant & CBC Beer (have a tasting) – these two venues closes to each other are worth a day-trip all on their own. Babylonstoren – an incredible wining, dining, gardening, spa & deli shopping experience to visit. Haute Cabriere – try the champagne and Pinot Noir and be warned, you won’t leave quickly. Black Elephant Vintners – we recently tasted some excellent wines from these winemakers. Please book a day-tour shuttle with us and drink & drive responsibly. Betty’s Bay, Kleinmond & Hermanus are small towns, all located within 1.5hrs drive from Cape Town. The reason why we love visiting these Overberg towns are that you get to drive along the coast on Clarence Drive. This route to the Overburg is one of the most scenic drives apart from Chapman’s Peak drive as you get to drive very similar twists and turns, carved out of the mountain side, next to the ocean. There are loads of accommodation options in all of these coastal towns for a quick weekend away. Ashton is a small town that you pass through on your way to Swellendam. Even though Swellendam is located on the N2 (Garden Route), we recommend you drive the N1, through the Du Toit’s Kloof toll tunnel, past Worcester and Robertson (keep a lookout for a variety of farm stalls on the way!) and on to Ashton. Just past Ashton (if you go straight you’ll end up in Montague, also a wonderful little town to visit), you can turn right towards Swellendam, where you’ll once again find a beautiful drive through the mountains and farmland. Look out for Wildebraam Berry Estate in Swellendam, they have loads of fresh or frozen berries (also try the berry sauces, it’s divine over ice-cream). You can also do tastings of their liquers (try the chocolate and chilli liqueur). In winter, the mountains behind Swellendam are covered in snow and it’s a wonderland to explore with car, hiking or with your mountain bikes.